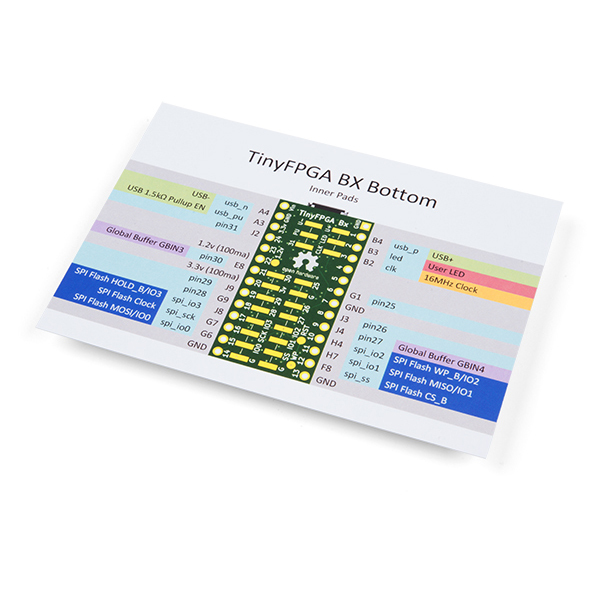 The TinyFPGA BX is a small field-programmable gate array (FPGA) board with all of the components and circuitry required for the FPGA to function, provided for you in a single package. 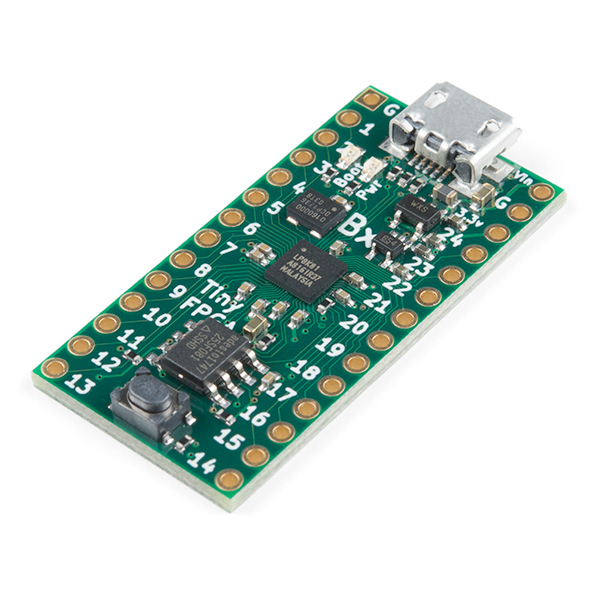 The BX module allows you to design and implement your own digital logic circuits in a tiny form-factor perfect for breadboards, small spaces, or custom PCBs. 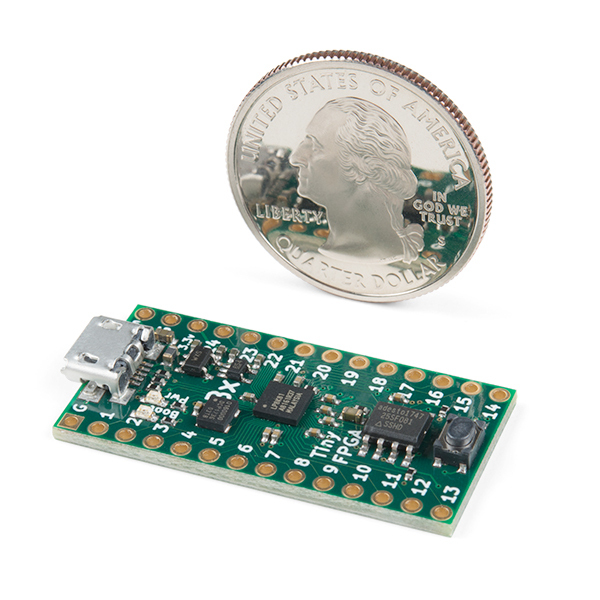 The power of the TinyFPGA BX allows you to do things that are not possible with traditional microcontrollers. 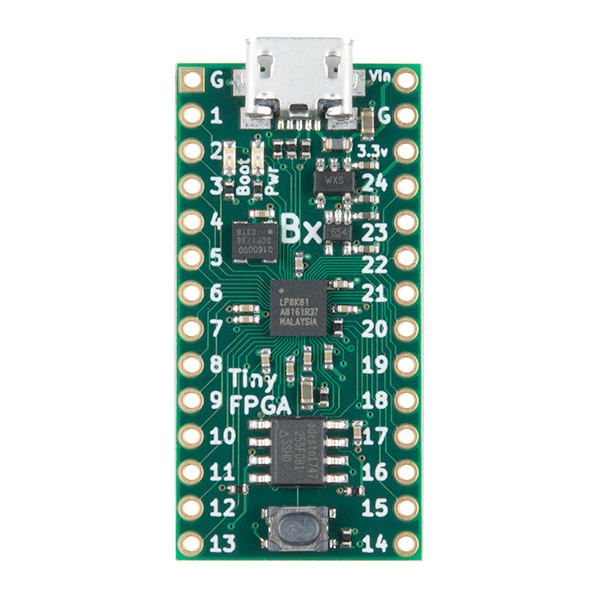 While microcontroller boards have a fixed set of peripheral devices on-board, the TinyFPGA BX can implement the exact peripheral devices needed to get the job done! The full potential of programmable logic devices allows for even more ambitious projects than custom microcontroller peripherals: augment a retro-computer with new capabilities, recreate an 8-bit computer from history, or design your own. 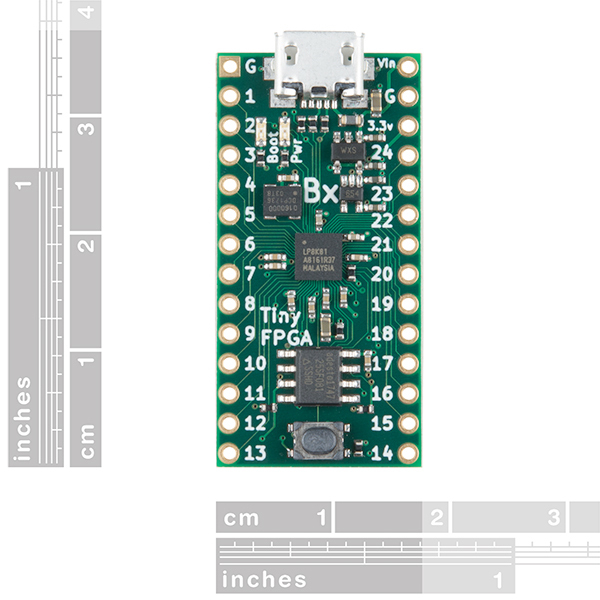 Once you have a design, you can program it onto the TinyFPGA BX module over USB. All the functions your design implements will now be able to interface with the outside world through the module’s IO pins. 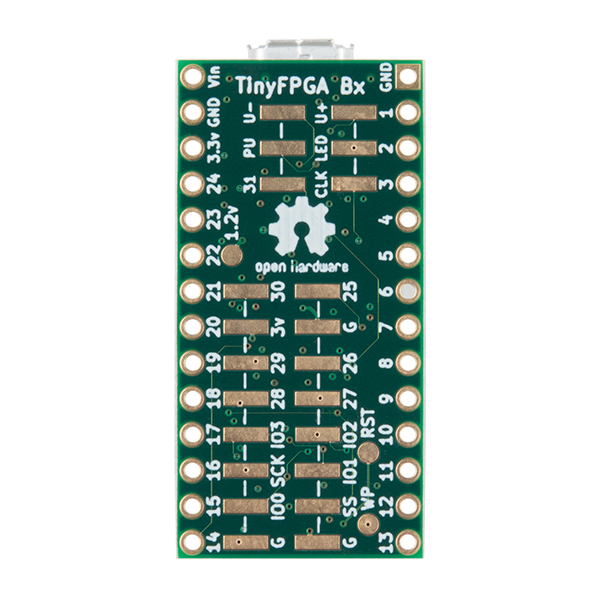 This board is good for people to start out writing basic code for an FPGA since it easily fits on a breadboard and can be programmed with at least two different software packages. I've had great luck with my limited use so far. Toolchain was easy to install and use. Device just kinda works without a lot of effort. Definitely ideal for someone who is looking to get their feet wet.